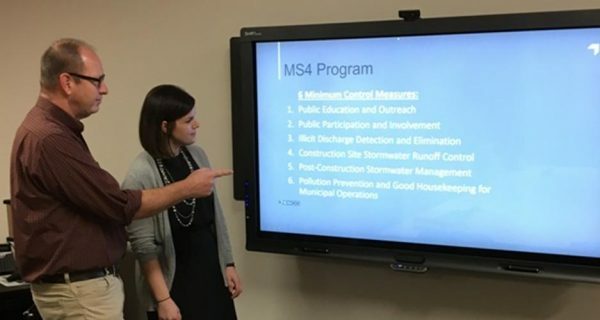 The Anoka County Stormwater Pollution Prevention Plan (SWPPP) outlines how the County will reduce pollution in storm water runoff from highways and county properties. The Plan was presented at a public information meeting (December 4, 2018) where public feedback was welcome and planning staff were available to respond to questions. A copy of the SWPPP is available for public review a the Anoka County Highway Department Offices (1440 Bunker Lake Blvd. NW, Andover, MN 55304). Written comments may be directed to the “Anoka County Highway Engineer” at the Highway Department offices. For more information, please feel free to call Meghan Litsey (WSB & Associates, Inc.) 763-287-7155 or Jack Forslund (Anoka County Highway Department) at 763-324-3179.